"Three things are happening in the US which have never happened before," Netanyahu explained. "My estimation is that the US Embassy move will happen faster than we think. Within the span of a year - that's my educated guess." "There is a dramatic change regarding Iran, and the President has a time limit, at the end of which the Iran deal will either be fixed or canceled." Regarding UNRWA, the UN organization created for the purpose of helping "Palestinian refugees," Netanyahu said, "This is the first time they are being challenged. This organization perpetuates the Palestinians' refugee status. This is the first time someone is standing up and challenging that." A Netanyahu official said he "believes that the the Americans are discussing Israel's proposal to transfer care of the refugees in Judea and Samaria from UNRWA to the United Nations High Commissioner for Refugees (UNHCR)." The many millions of refugees who are not Palestinian Arabs are represented by one organization UNHCR. Only the Palestinian Arabs have an organization of their own. Deputy Minister in the Prime Minister's Office Michael Oren (Kulanu) said, "I congratulate US President Donald Trump on his decision to drastically cut funding to UNRWA. This is a false and corrupt organization, which fabricates millions of refugees in order to receive world funding. UNRWA perpetuates the Israeli-Palestinian conflict by teaching Palestinian youth to hate the State of Israel and to work to erase it. The President's decision is a crucial and vital step to putting an end to one of the greatest frauds in history. UNRWA's fraud has caused great damage to Israel and to the entire Middle East." 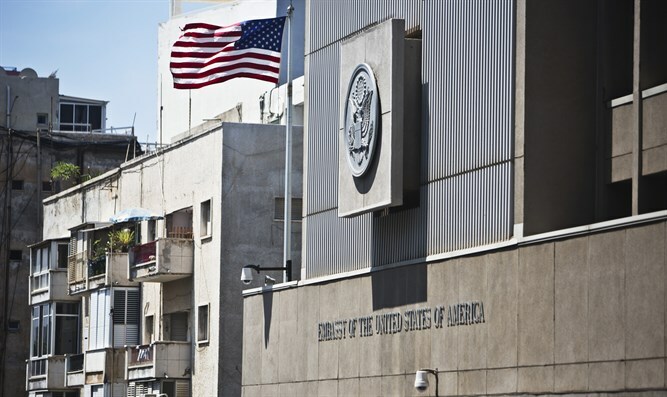 In November 2017, US Ambassador to Israel David Friedman confirmed that the Embassy move "is not a question of 'if', it is a question of 'when'." In December, US Secretary of State Rex Tillerson estimated that the Embassy would not be moved to Jerusalem during Trump's first term, changing his original estimate of two years needed to build a new facility in the Israeli capital. However, Following the president’s December 6th announcement, Tillerson vowed to “immediately begin the process” of moving the embassy.